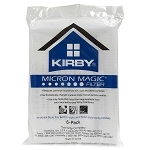 We carry al the Genuine Kirby vacuum bags to fit all the Kirby vacuum models. From the Heritage to Legend, and from the Generation series to Sentria and Avalir, we have the bag for your model. 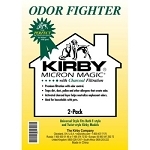 We sell Kirby vacuum bags and Kirby vacuum bags accessories. 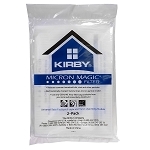 Replace your Kirby vacuum bags with Genuine Kirby vacuum product to ensure it fits and last. 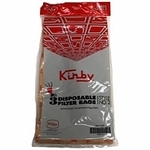 We carry Genuine Kirby vacuum bags for Avalir, Sentria, Generation series, Heritage, Legend and older models. We are not affiliated with the Kirby Company in any way or manner. We do offer for sale Genuine Kirby vacuum cleaner parts which we buy from their Authorized Kirby distributors. 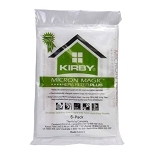 We also offer quality aftermarket vacuum bags to fit some Kirby vacuum models.